Jacksonville’s very own Shinedown are back again with their fifth studio effort entitled Threat to Survival. Over the year’s Shinedown has transformed from a grunge heavy influenced band to a poetic monster pop hook hitter machine. I love when bands keep it together over a career of 10 years and explore outside of their original bounds. Granted what drew me into them all those years ago was the heavy attack and vocal intensity of Leave a Whisper. But, by the time Sound of Madness arrived, I was deeply in love with the messages behind the songs and albums as a whole. 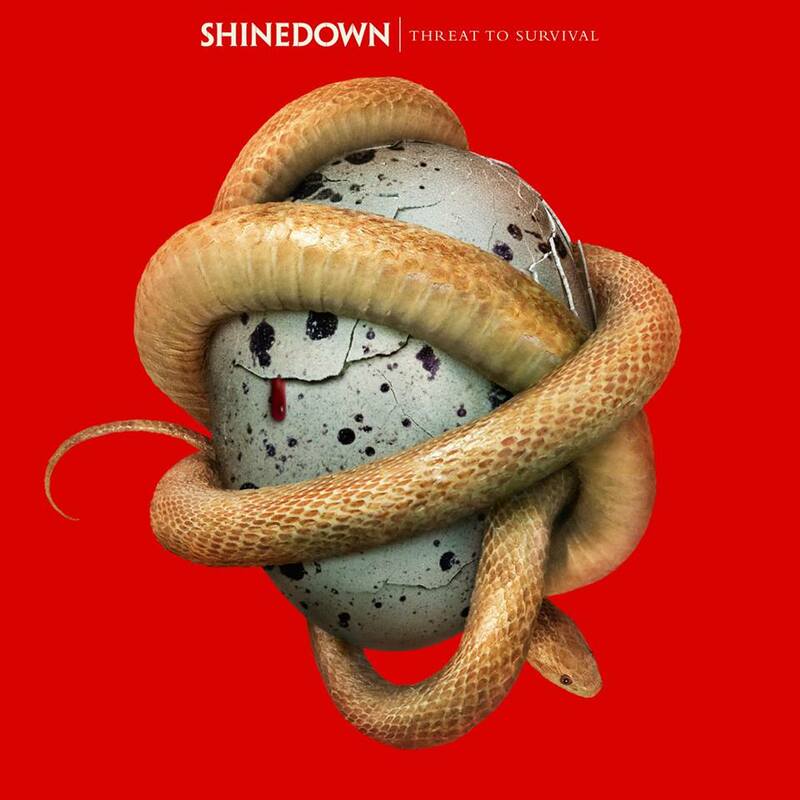 That being said, The artwork and 11 tracks enclosed within Threat to Survival are just as potent as ever in the Shinedown writing arsenal. I deeply appreciate the lighthearted nature within the lyrical depth of each and every song. How Did You Love? – I picked this track due to Brent’s voice keeping a strong pace and the lyrics attacking the topic of Love and how people can transform over time from bad to good, or in reverse, and still maintain a charm. This song also hits on the idea that after transforming ourselves and dealing with experiences, how did we love? How did we survive? Are we happy we survived? Cut the Cord – The current single from the band, Cut the Cord is a wicked combination of rock n roll and that signature attack Shinedown lovingly attaches to the more heavy songs they present. Even the synth enthused intro and crowd chant represent the growth made to a band’s sound as they jump right into a funky, heavy, and always, Shinedown melodic sound. Thick as Thieves – On an album that can literally feature a single in every track, Thick as Thieves should be the essential single out of Threat to Survival for many reasons. One of those reasons is the mellow vibe that the song creates as the lyrics wrap around the idea of being guilty of changing and making mistakes and not wanting someone to give up on you. The whole idea is that despite obstacles, friendships can be mended if the right style of communication is implemented. From the lyrical imagery of building fortresses and being guilty of doing the same, giving up shouldn’t be the option, or any option. Remaining Thick as Thieves is the key to survival. State of My Head – My connection to this track is one of contemplation. Dealing with depression and social awkwardness makes for a interesting and often burdensome life. When wanting to be more outspoken or less deep in thoughts, State of My Head is that song that says you don’t know the state of my life but I want you to understand and relate to me. At least that is what I want the song to say to me. Black Cadillac – Oh yes this is pure Shinedown poetic madness in the best light. Simplistic piano vocal intro, pounding drum foundation, dramatic build up to guitar and bass. This song provides the full package of a Shinedown quality marked song. Zach Myers proves his grit as a guitar player throughout this album that is laced with electronics and odd pop structure, His work on Black Cadillac is proof of being adaptable and adding in a minor but prevalent solo for any guitar savant to nod their heads and tap their feet in approval. Overall, Threat to Survival is no less or more a great album. 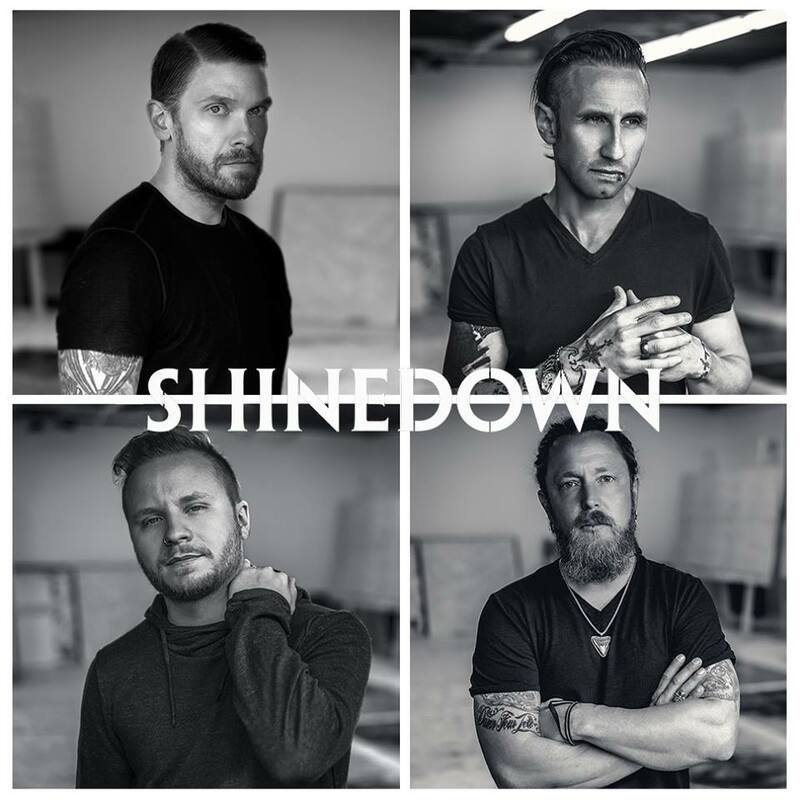 It fits right in catalog of the ever changing, yet familiar work that Shinedown provides. If you are expecting anything more or less you are robbing yourself of a great experience from a band who has kept it together and rocking no matter the circumstances. So take a listen and find for yourself the true joy of Shinedown and their poetic works. Also keep a lookout for 2 extra tracks that are to be released on the Japan edition of Threat to Survival. Personal Favorite Tracks: Misfits, Cut the Cord, Outcast, How Did You Love?, Thick as Thieves, State of My Head. Album Review, contrast Control, Hard Rock, James West, Metal, Shinedown, Threat to Sruvival. Bookmark.